Tommy moves in the world into which she was born. Her father was a legendary Chelsea and Soho figure in art & advertising, her mother a welsh valley beauty. The fifties saw Tommy walk to school from their Berkeley Square home to the Regents St Poly. The same Art school her father had attended thirty years before. Her first job was as graphic artist on 'Woman's Own'.. at that time the biggest circulation magazine (4,000,000) in the World! In 1957 Tommy married Alan Plaistowe .. they have just celebrated, at The French pub in Soho, their 50th wedding anniversary! 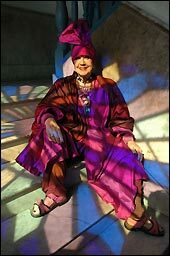 Tommy then accompanied Alan, a chemical engineer, to Baghdad,.. On their return she was offered a position on the just launched 'Woman's Realm' magazine .. and became Londons youngest fashion editor through the 'swinging sixties'! The seventies saw Tommy back at The Regent's St Poly , this time studying photography. Her new career as freelance photographer took off immediately. Tommy worked with all the major magazines, photographing fashion, interiors, gardens & 'celebrities'. 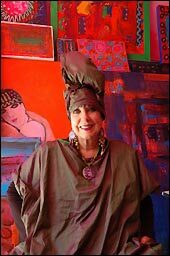 In the late seventies she was asked to join her fathers old company, the artist agency, Artist Partners, which is still going strong after 54 years. In the eighties Tommy returned to her real love photography, built a studio in her house in St John's Wood, and embarked on a new exciting phase in her career, taking models and photographing them in exotic locations all round the World. Glamour & Travel photographs for the Tony Stone ( now Getty) photo library, and fashion and beauty for magazines. 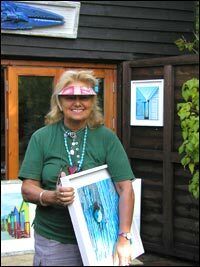 Throughout the nineties Tommy had many exhibitions as featured photographer at Galleries both in London and Kent, where she now works from her Oast house that adjoins their house. Tommy's London base is in an old vinegar factory in Vauxhall. 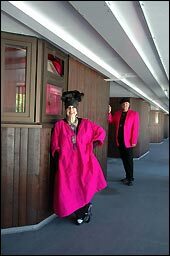 In 2007 Tommy has a new project; reunited with her old friend Molly Parkin, (she bought her first painting from Molly in 1962) Tommy has now become her 'official photographer'. January 07; photographed Molly's Exhibition at Chelsea Arts Club. Photo of Molly and her painting 'Las Vegas Lay' snapped up by Press and web for publicity. March 07; Colony Club Soho at TV recording for 'Suggs. programme disappearing London . shown May 10th. April 07 ; Molly' and her paintings in her studio in Chelsea. May 07; Inside & Outside her studio. Molly with her 'gay adopted son', Marty Thornton, jewellery maker extrordinaire.